If you are looking for a great vampire read, give one of my favorite vampire books a try! 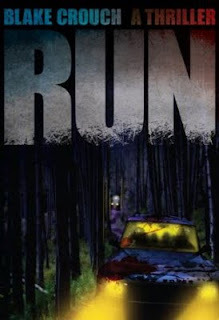 Davey's on the down and out when he loses his girl, his job and practically his sanity. While some men drown themselves in a forgiving bottle, Davey believes it's much more profitable to sink into Times Square's nightlife and lose himself inside Live Girls. They are the free ravishing pleasures who beckon Davey into a world of irresistible fantasy and ecstasy. One of them propositions him with a kiss, an insatiable kiss that leads him far from the misery he once felt to a demonic place where body and soul are sacrificed for obsessions. Here's a fantastic post on Ray Garton's blog that details the inspiration behind Live Girls: LIVE GIRLS: The Story Behind the Book. When Jonathan Harker visits Transylvania to help Count Dracula with the purchase of a London house, he makes a series of horrific discoveries about his client. Soon after wards, various bizarre incidents unfold in England: an apparently unmanned ship is wrecked off the coast of Whitby; a young woman discovers strange puncture marks on her neck; and the inmate of a lunatic asylum raves about the 'Master' and his imminent arrival. In "Dracula", Bram Stoker created one of the great masterpieces of the horror genre, brilliantly evoking a nightmare world of vampires and vampire hunters and also illuminating the dark corners of Victorian sexuality and desire. Published a year after his stunning debut novel, Carrie, 'Salem's Lot firmly cemented Stephen King's name in the literary lexicon of great American storytellers. 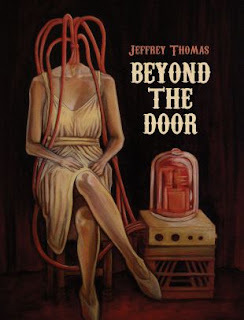 His rich and finely crafted tale of a mundane New England town under siege by the forces of darkness is both a homage to Bram Stoker's classic Dracula and an allegory of our post-Vietnam society. Considered one of the most terrifying vampire novels ever written, it cunningly probes the shadows of the human heart -- and the insular evils of small-town America. In 1976, a uniquely seductive world of vampires was unveiled in the now-classic Interview with the Vampire . . . in 1985, a wild and voluptous voice spoke to us, telling the story of The Vampire Lestat. In The Queen of the Damned, Anne Rice continues her extraordinary "Vampire Chronicles" in a feat of mesmeric storytelling, a chillingly hypnotic entertainment in which the oldest and most powerful forces of the night are unleashed on an unsuspecting world. I only have the first Bunnicula book listed here, but the entire series is awesome. I haven't had the chance to check out Draculas yet, but it's coming up quick on my to be read list! Mortimer Moorecook, retired Wall Street raider, avid collector, is losing his fight against cancer. 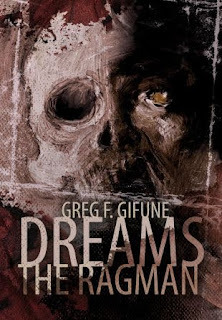 With weeks to live, a package arrives at the door of his hillside mansion-an artifact he paid millions for...a hominoid skull with elongated teeth, discovered in a farmer's field in the Romanian countryside. With Shanna, his beautiful research assistant looking on, he sinks the skull's razor sharp fangs into his neck, and immediately goes into convulsions. The goal was simple: write the most intense novel they possibly could. Are you a vampire fan? Do you have any favorites to add to the list? 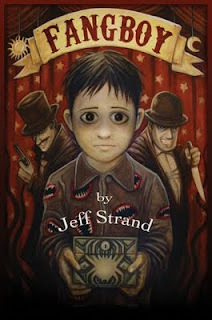 Fangboy is a "bizarre yet heartwarming" bedtime story from the mind of Jeff Strand. Nathan Pepper seemed like an ordinary baby…except for a mouth full of scary sharp teeth. Because his life began with his grandmother strongly recommending that he be destroyed as soon as possible, it’s safe to say that Nathan was not destined for a typical existence. He hated the nickname “Fangboy,” but nobody could deny that he was the most frightening little boy in town. And he would have adventures of every sort. Tragic adventures, like what happened to his parents. Dangerous adventures, like his encounter with the sinister Professor Mongrel. Thrilling adventures, like the part where he’s on an out-of-control horse and he can’t make it stop running and you think “Well, he should just jump off,” but he CAN’T because it’s going too fast and he could break a leg. And, yes, one particularly gruesome adventure, though it is not described in great detail. Will things end happily for Nathan? Will he bite somebody? Gather your family and your most deranged friends, make some chocolate chip cookies, and share the dark comedy treat of FANGBOY, a bizarre yet heartwarming yet rather tasteless saga that—all ego aside—will define a generation. Poor little Nathan Pepper was born with a mouth full of razor sharp teeth. Despite being a freak whom everyone feared, his parents loved him dearly. The night before Nathan turned six years old, both of his parents died from an accidental poisoning. This was the first of many horrible events Nathan would endure. Jeff Strand made Nathan's character so lovable, I longed to adopt him and raise him myself. Instead, I was left to witness Nathan's tragic encounters with a world that judged him based on his looks. 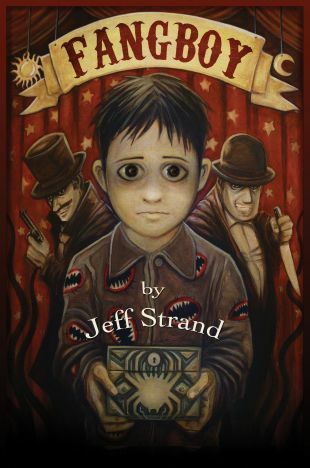 The humor and positive outlook throughout Fangboy made this dark fairy tale uplifting. If you love a dark comedy or enjoy bizarre stories, do yourself a favor and read Fangboy. Nathan Pepper is a character I won't soon forget. Do you have a favorite dark fairy tale? Yes! My closest book pals are my mom and my grandma. They taught me to love books and introduced me to some awesome authors and genres at a young age. Now I repay them constantly with recommendations. They pay it forward by passing those recommendations to their bookish friends. I love hearing when people call my mom and ask "What is your daughter recommending?". I just love that. 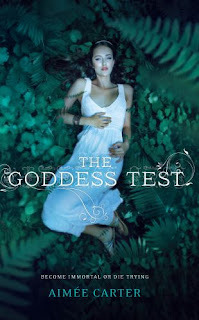 I use WeRead on Facebook to chuck books at my bookish friends. If I go too long, they will call and tell me they need some recommendations. I could never grow tired of discussing or recommending great reads. What about you guys? Do you have many real life folks that share your passion? I recently read a short book by Lee Thompson called Before Leonora Wakes . It's a really great coming of age story about a 13 year old boy named Red. He's a naive, innocent, and introverted boy. The perfect character for a coming of age story. Do you find you connect best with a certain type of character?